The Accord Coalition for Inclusive Education has publicly urged local authorities in England to reject proposals for new religiously discriminatory voluntary aided schools. Its comment follows publication today of Government guidance for groups wishing to open new voluntary aided schools. The guidance has been published after a Government announcement in May that it would financially support the opening of new voluntary aided schools faith schools. The schools can operate a fully religiously selective pupil admissions policy and the Government’s move is designed to exploit a loophole around its own policy requiring new academy faith schools to not select more than half of their pupils on religious grounds. Since 2011 until now the Government had tried to ensure new state funded schools were academies, meaning its 50% cap effectively applied to almost all new state funded faith schools. One complication for the Government however is that new voluntary aided schools require the approval of the local authority responsible for education. Last month Accord privately called upon local authorities to only approve plans for non-discriminatory schools by individually appealing to them all by letter. The Government’s new guidance envisages the taxpayer massively subsidising new voluntary aided schools, with the state meeting up to 90% of the schools’ building costs and in some instances also providing the necessary land. Traditionally the land voluntary aided schools use has not been provided by the state. Once established the taxpayer will meet 100% of the schools’ running costs. Religious selection in pupil admissions is consistently found to be unpopular. An Accord commissioned poll undertaken by Populus in May 2017 found that scrapping the Government’s 50% faith discrimination cap was opposed by 80% of voters. Another Populus poll in 2016 found religious selection in pupil admissions at state funded schools was opposed by a ratio of more than five to one of British adults. This included a majority of adherents of all of Britain’s largest Christian denominations and other major world faiths. 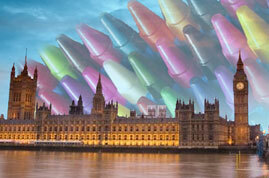 A 50% religious discrimination cap was introduced for new faith academy schools by the last Labour Government in 2007. The Coalition Government borrowed the 50% policy when Michael Gove introduced its free schools programme in 2010 (free schools are a type of academy school). The 2011 Education Act introduced a legal presumption that entirely new state funded schools in England should be free schools. In 2015 the Conservative Government told Accord it would be continuing with the faith free school discrimination cap ‘… as an important way of supporting these schools to be inclusive and to meet the needs of a broad mix of families.’ In May 2017 the Conservative Party manifesto committed a Conservative Government to scrapping the 50% policy. In May 2018 the Government announced it would not scrap the 50% cap but would instead help fund new voluntary aided schools.